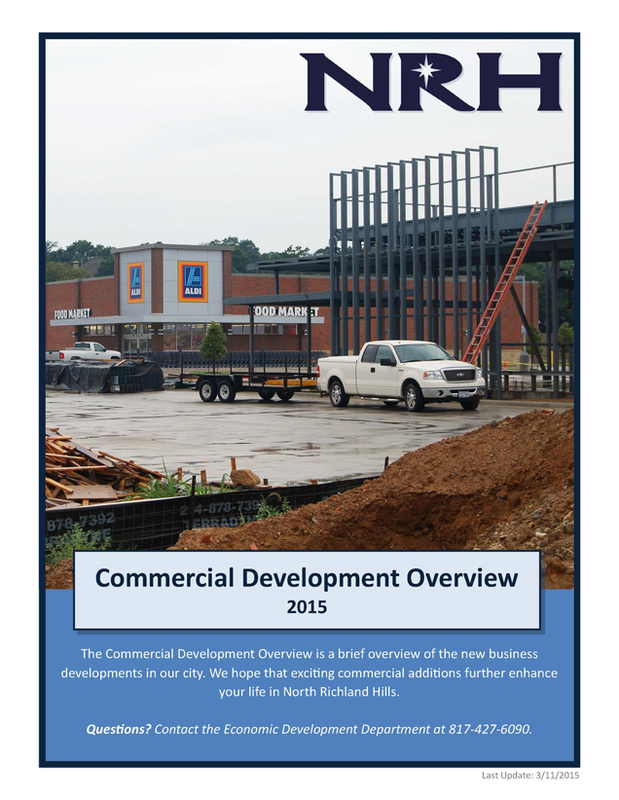 The North Richland Hills Economic Development Department is excited to publish its first city-wide development report. Sections include details on transportation projects, commercial additions, and the growth of our residential community. Download the 2015 Development Report (9 MB).